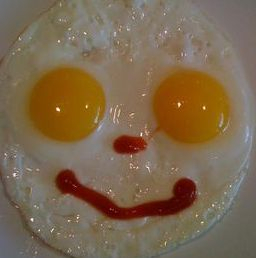 Egg allergy is very much the second allergy. It comes second, after Cows Milk Protein Allergy, in popularity and in timing. Egg allergy usually starts around the age of one year as current UK feeding advice (probably wrong) is to avoid egg until the first birthday. It can be very obvious with redness, swelling, rash, vomiting and breathing difficulties progressing to anaphylaxis. It can be mild with just a few hives (urticaria) or no reaction at the time of eating but a delayed reaction with worsening of eczema s day or two later. Babies with egg allergy are allergic to egg white (Ovalbumin) and they are most allergic to raw egg white and, as the egg is cooked, it causes less and less of an allergic reaction. This is because egg white is mainly made of the protein Ovalbumin and this what babies are allergic to. As the protein is cooked, it twists out of shape so the immune system doesn't recognise it as much - in the same way that raw egg white is unrecognisable from cooked egg white. Egg allergy is a temporary allergy. 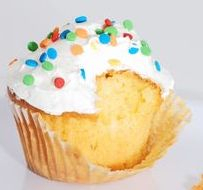 A baby who develops egg allergy at the age of one year will probably need to avoid all forms of egg for a year or two but then, by the third birthday they can often tolerate shop bought sponge cake. This is often made with powdered egg so the Ovalbumin protein is really changed so the egg-allergic three year old can tolerate it. Eating as much cooked egg as possible is thought to re-train the immune system into thinking that egg white is actually OK stuff to allow into our bodies. Once this sponge is tolerated then the child can move up the Egg Ladder to less and less cooked egg. Obviously every child is an individual and these timing can vary greatly. In my experience they may never like scrambled egg even when they are not allergic. My formerly egg allergic son cannot stand to be around anyone eating egg even though he is clearly no longer allergic.